Michael Feldman is an American radio personality. 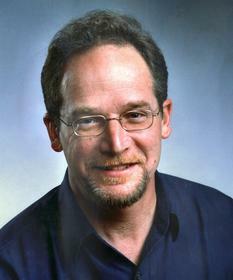 He is the host of Michael Feldman's Whad'Ya Know?, a radio program distributed by Public Radio International. His announcer, Jim Packard, refers to him as "The Sage of Wisconsin." He has given himself the title of "Producer Internationale," and also refers to Public Radio International on-air as "The International House of Radio." Raised in Milwaukee, Wisconsin, Feldman graduated from the University of Wisconsin�Madison with a degree in English in 1970. He worked as a teacher at Malcolm Shabazz Alternative High School in Madison, Wisconsin, before finding work at radio station WORT. Soon after, he worked as a cab driver before coming back to broadcasting, first at Wisconsin Public Radio, then at WGN (AM). He was fired from WGN in 1984, which sent him back to Public Radio. He started his show, Michael Feldman's Whad'Ya Know?, in 1985. I don't eat salmon because I identify too much with spawning, thrashing around, and death.